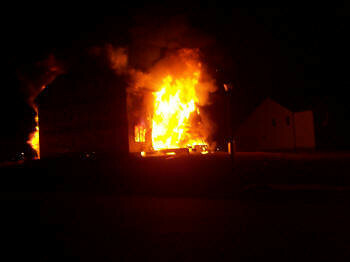 On January 10, 2010, Ladder 79 and Engine 19 were dispatched to an address of fire on Springhill Circle in Buckingham. Chief 5 arrived on scene and reported fire on the 2nd floor in a bedroom. 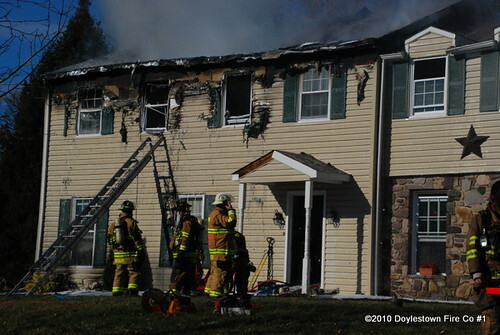 Crews from Midway Fire Company Stations 5 and 15 made an interior attack up the stairs. 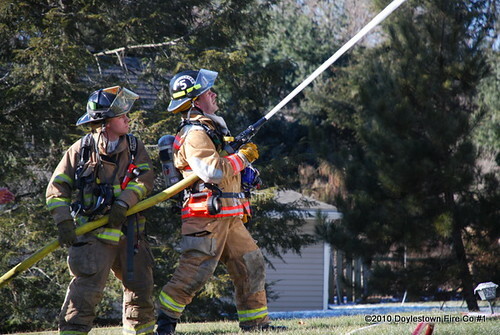 Engine 19’s crew assisted with getting an additional hand line in service. 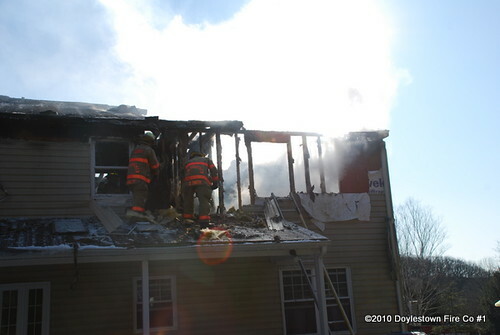 Ladder 79 went to the rear of the dwelling and set up to open the roof. 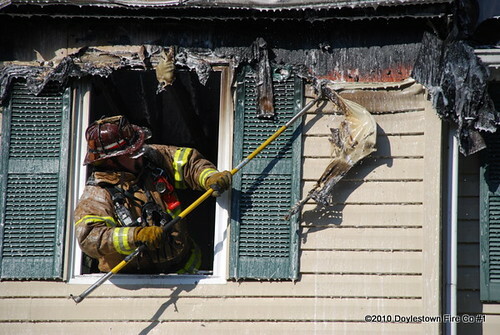 A bulk of the fire was knocked down and crews went into overhaul mode. Engine 19 and Ladder 79 stayed interior to open up all the walls on the 2nd floor to check for any remaining pockets of fire. Rescue 19 was dispatched as an air cascade to fill air bottles. 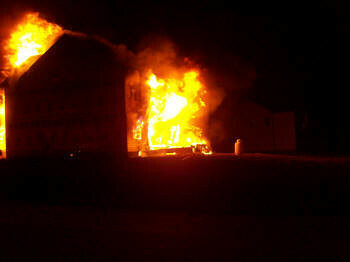 Crews were back in town within 2 hours. 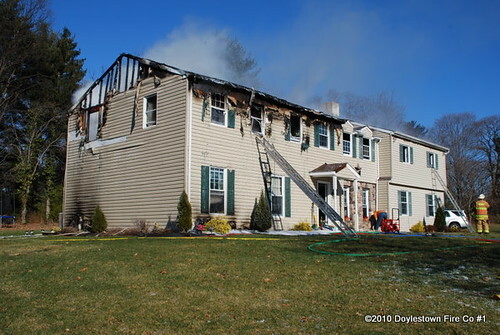 On January 6, 2010, Rescue 19 was dispatched to Blackburn Court to assist with a fully involved dwelling that was under construction. 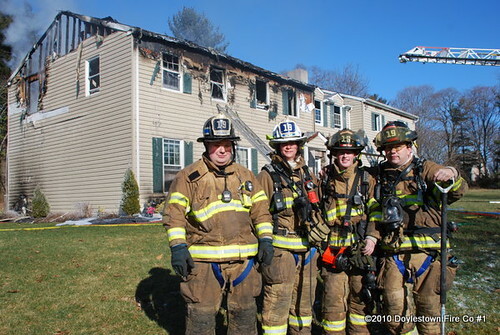 Rescue 19 was initially dispatched as a RIT Team however when crews switched to an exterior operation only due to the amount of fire on arrival Rescue 19 assisted Ladder 74s crew with suppression efforts and exposure protection.